Today skies are mostly sunny and snow is melting at a good pace. 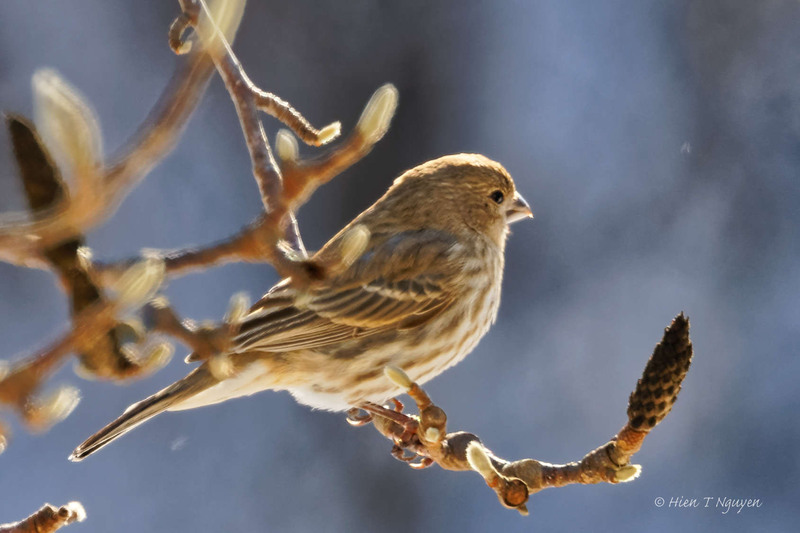 I took the opportunity to photograph the various birds that come to our feeder all day long. Blue Jay, checking out the bird feeder. They rule the place and whenever they land, all other birds scatter away. 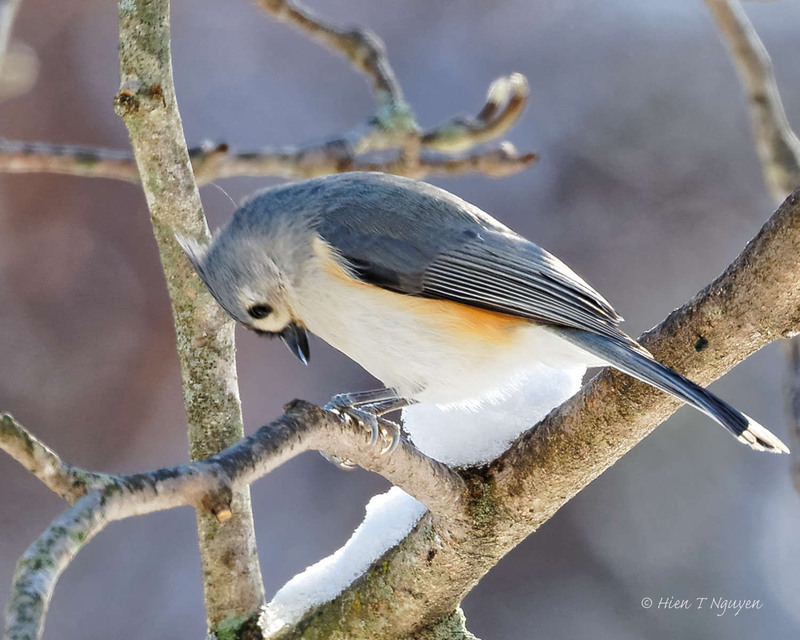 Tufted Titmouse, working on a sunflower seed. Finally, the one and the only Northern Cardinal, resplendent in colors rivaling its human counterparts in Rome. 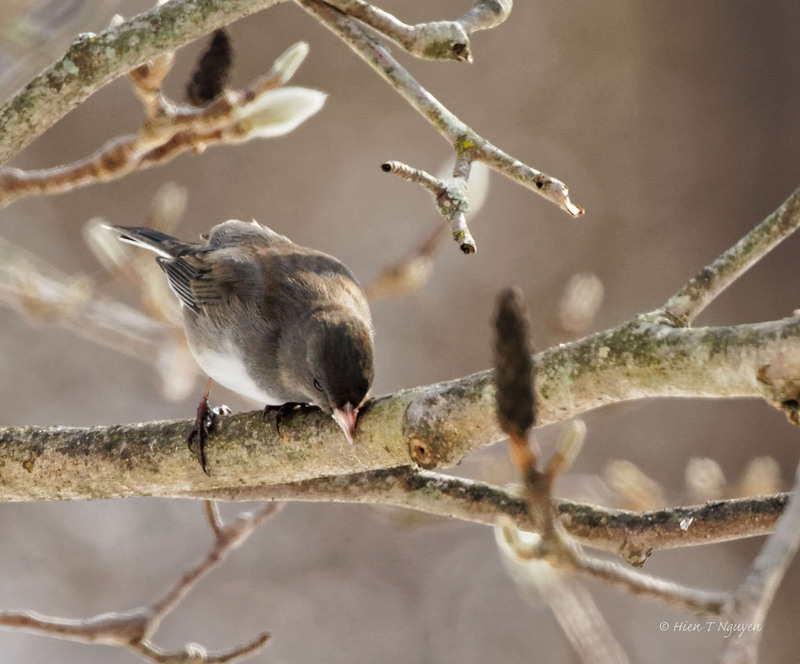 They all look cozy in their fluffed up feathers – I know you’ve had some very cold weather lately. I enjoy seeing the Blue Jay – our equivalent, Steller’s Jay, isn’t as colorful, nor as dominant, at least not at out house. In fact, the nuthatches (ours are a bit different but unmistakable nuthatches) are incredible belligerent towards the other birds, getting rid of everyone if they want to. 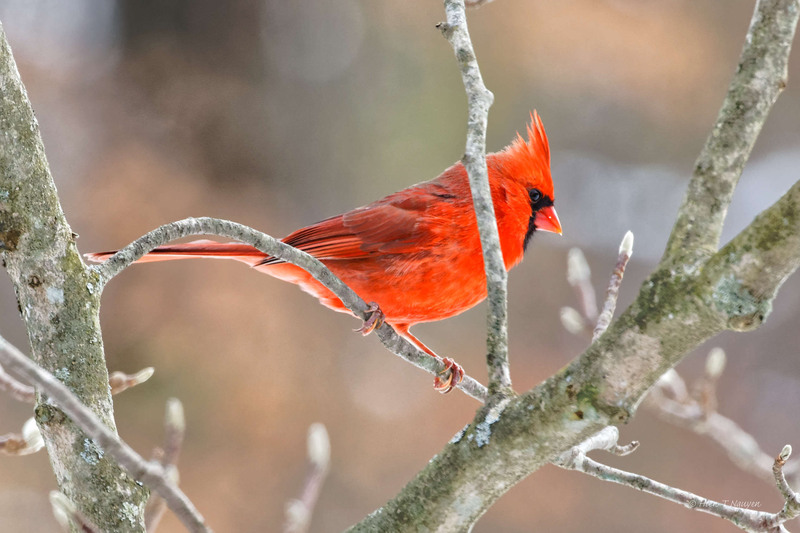 It’s also wonderful to see your cardinal photo! You know I miss them! Cardinals are slowly spreading out to the West, eventually to the West Coast. Maybe you will see them then! 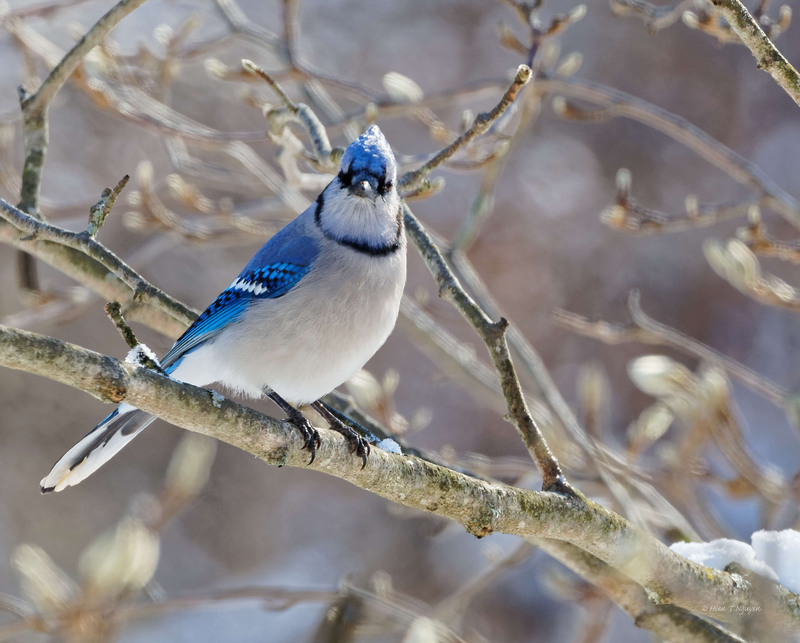 These beauties are lucky to have you…and the feeders to rely on when food is more difficult to find. Great shots, all of them. Thank you Tiny! Those birds also give me nice opportunities to practice my photography even when the weather is not so nice outside. 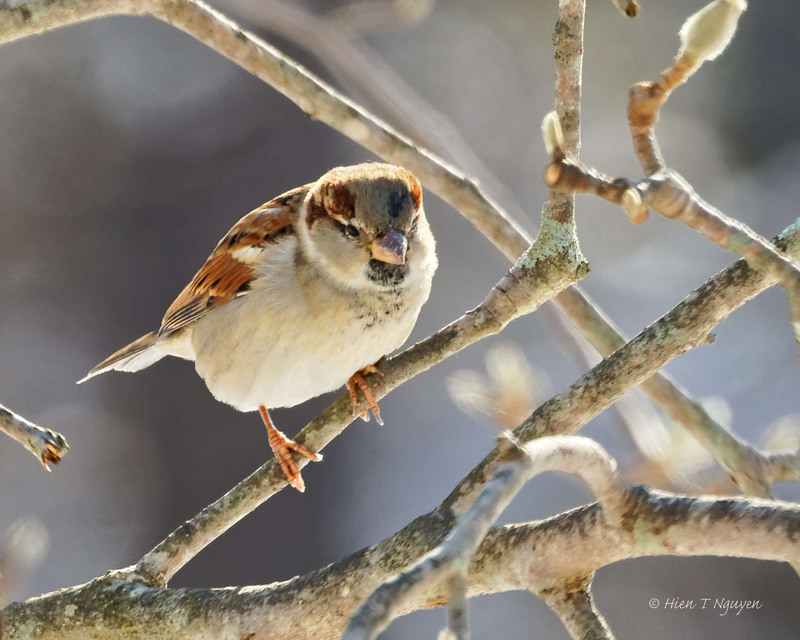 I love these images, not only are they very good, but they remind me of the times that I watched birds at the feeders that my mother always had in her yard. The good old times, Jerry. Your mother must have passed onto you the love of nature and the birds in it. The photos on your site show it very well. They look beautiful in snow! Well captured, Hien. 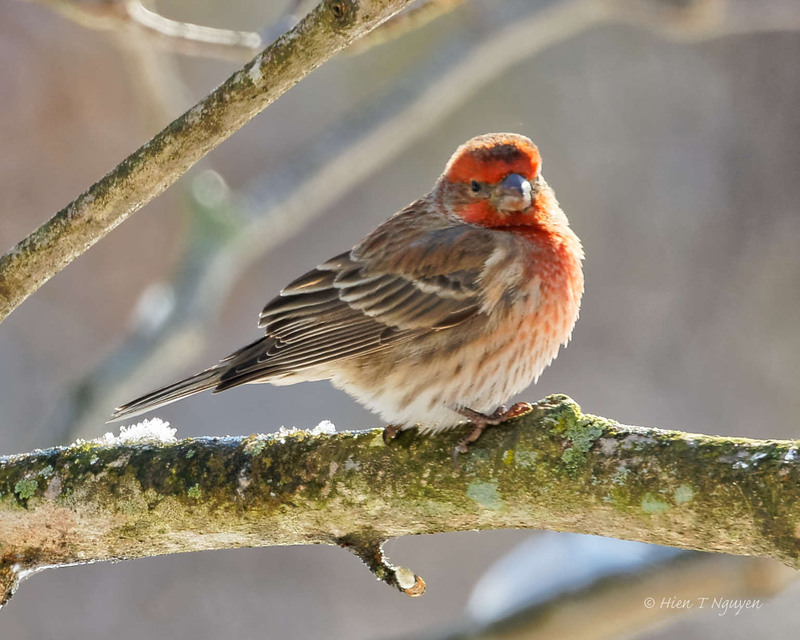 Birds are so pretty with snow in the photo, especially Cardinals! Beautiful captures, and nice variety, Hien! That Cardinal was elusive, and kept hiding, but I finally caught him among the magnolia branches! Thanks Donna! They are quite elusive. Well done! What wonderful photos. And what great yard visitors. Thank you Katelon! 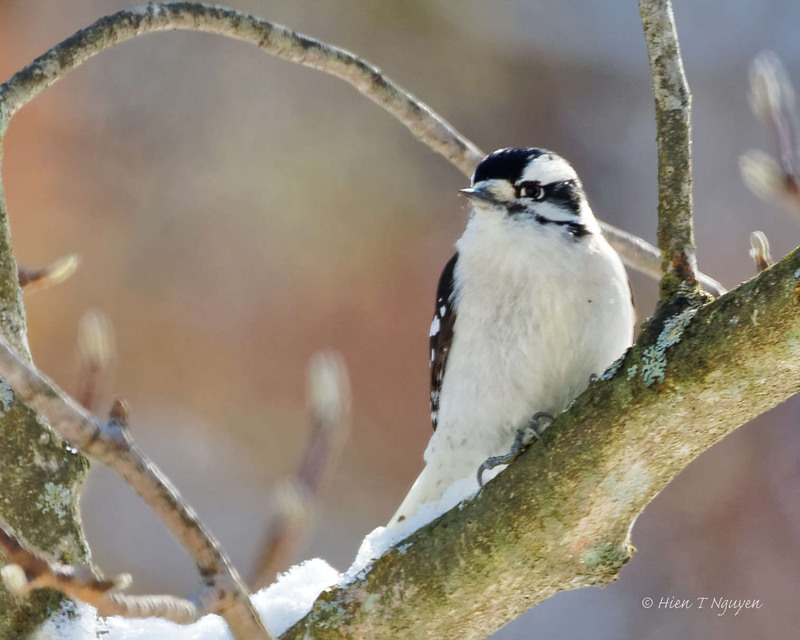 These birds flock to our feeder whenever snow blankets the ground, and the trees. Wonderful series, Hien. 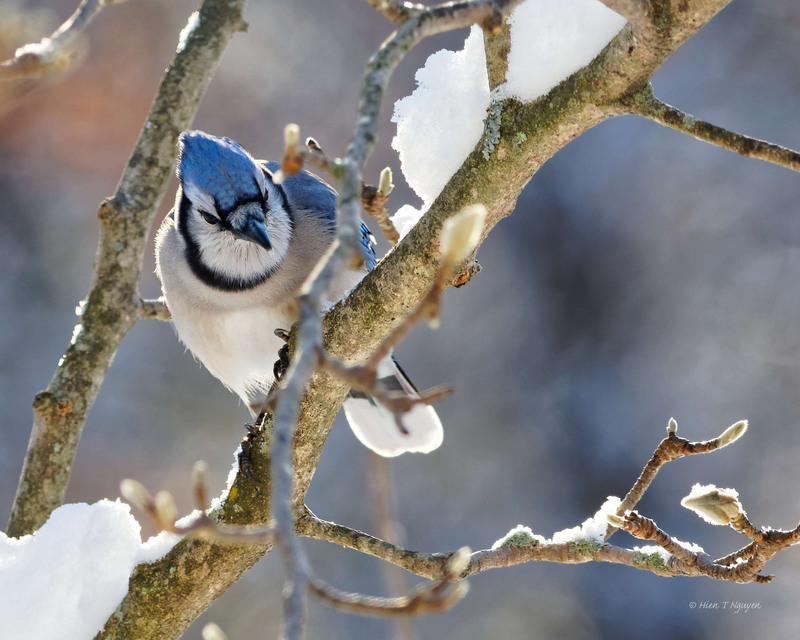 Those bluejays may be bullies, but they are vibrantly beautiful!